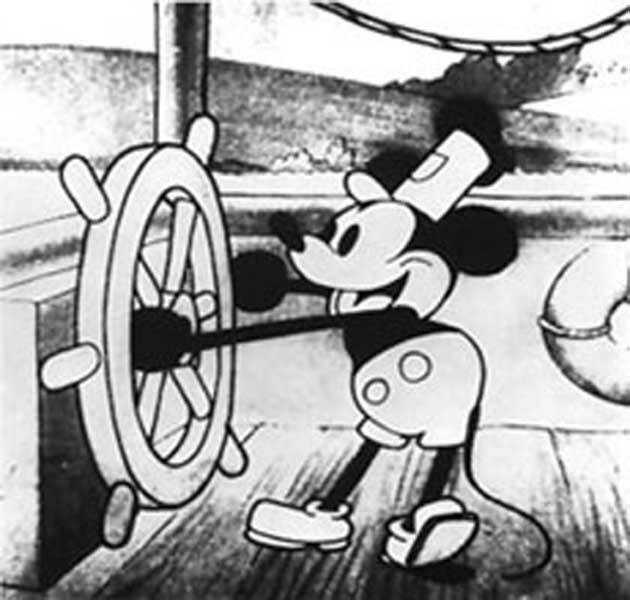 Walt Disney + Ub Iwerks: Steamboat Willy 1928. This was the short animated film that launched Disney’s most famous anthropomorphic character, Mickey Mouse. Eisenstein would have been thoroughly familiar with cartoons from Disney, Fleischer, Hannah-Barbera and other animators of this period. Walt Disney: Fantasia 1940. 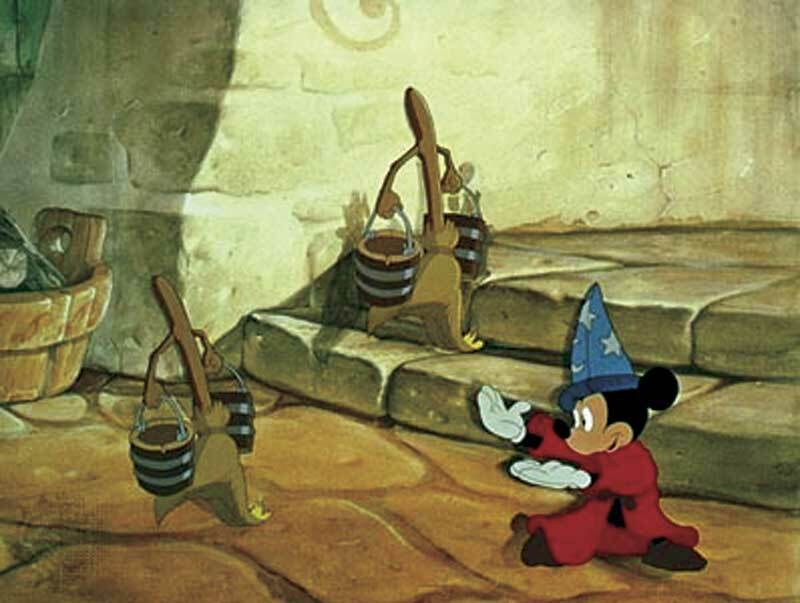 Disneys rather self-conscious masterpiece of this early period was of course Fantasia (1940), which drew upon the talents of his astonishing team of animators, the Philadelphia Orchestra, several classical compositions, and the arrangement and conducting skills of Leopold Stokowski. Thjis cel is from the section The Sorcerer’s Apprentice – one of eight animated sections in Fantasia. 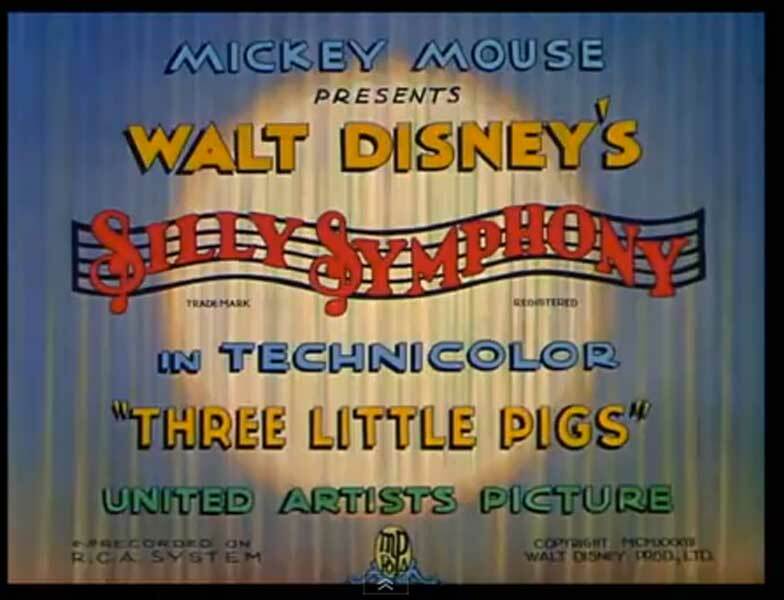 Walt Disney: Three Little Pigs 1935 (from Silly Symphonies (1930-1940). Eisenstein was so impressed with Disney’s work that in 1935, when he was a judge at the Cannes Film Festival, he insisted that Disney’s Three Little Pigs should get first prize. But it was the general ability of animators to create with total artistic (and ‘plasmatic’) freedom that was entrancing Eisenstein. Of course the possible synergies between animation and live-action cinematography had surprisingly been realised almost from the very beginnings of Film. As early as 1900, James Stuart Blackton had been employed as an artist on one of Thomas Edison’s shorts The Enchanted Drawing (1900) that illustrated this potential synergy. James Stuart Blackton/Thomas Edison: The Enchanted Drawing 1900. 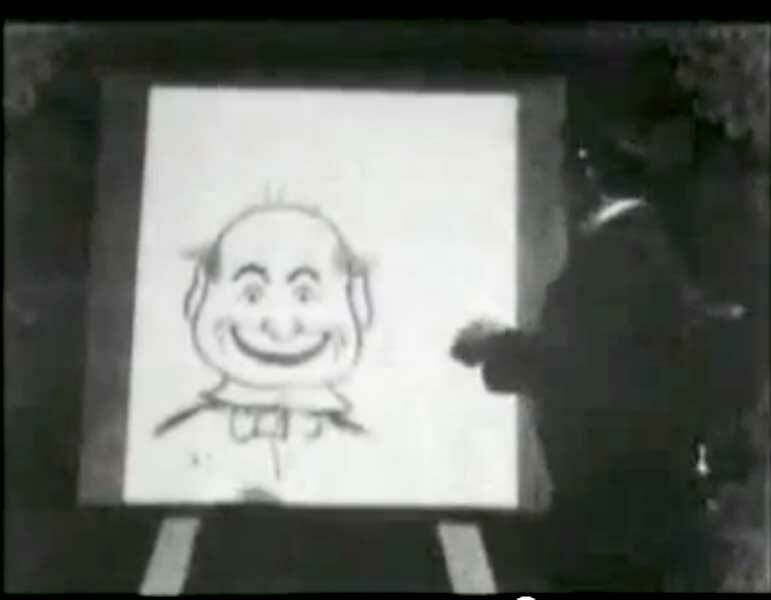 Using stop-motion, the filming of an artist drawing where the drawing is made to animate in response to the artist’s drawing, was a major innovation in the history of film, pointing the way to the invention of rotoscoping by Max Fleischer in 1917, and flagging the potential of special effects. 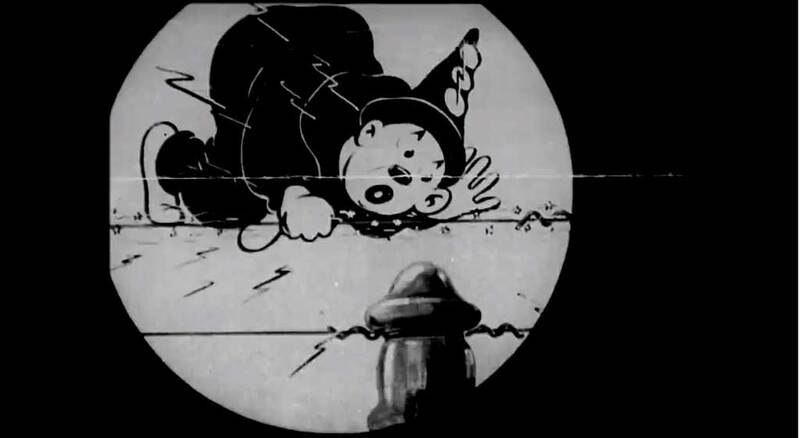 Dave Fleischer + Max Fleischer: Mechanical Doll 1922. The Fleischer brothers invented a rostrum rig for creating rotoscoped animations in 1917. Rotoscoping involved back-projecting live action cine frames, one frame at a time, onto a translucent drawing board so that animators could trace-over the live-action image and convert the live-action to animation. Here, 5 years later the Fleischer’s explore the natural outcome of their rotoscoping process in this short animation integrating live-action and animation. Bob Sabiston/Flat Back Films: Rotoshop 2001. Sabiston’s Flat Back Films made quite a stir with this semi-automatic rotoscoping software. Experiments in computerised cartooning stem from at least 1990 (see Barlow, Blakemore, Weston-Smith: Images and Understanding (1990)), but Sabiston’s software is state of the art, vastly reducing time spent on the human interpretation of source material and manual rotoscoping. Autoscope 2014 – this app is being developed right now in 2014, and is only available as a prototype. It follows Bob Sabiston’s clever Rotoshop (2001) as an automatic rotoscoping tool – rather successfully as far as the examples illustrate. 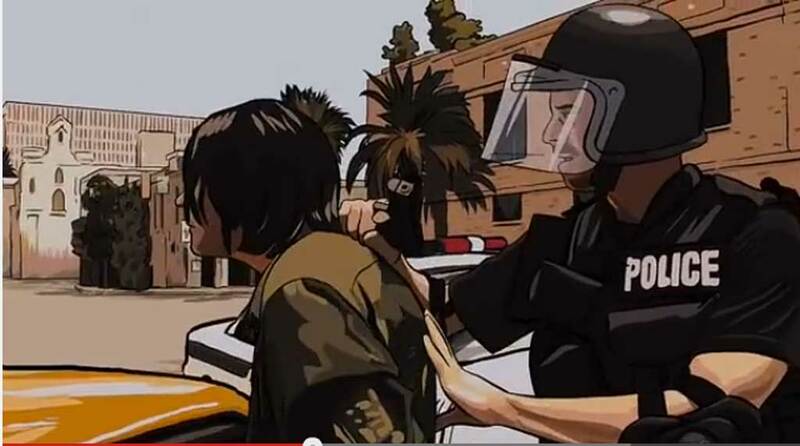 Richard Linklater: A Scanner Darkly 2006. From Philip K. Dicks ominous 1976 novella about surveillance, Linklater uses rotoscoping (Rotoshop) to semi-automate this high-budget, very successful animated feature. 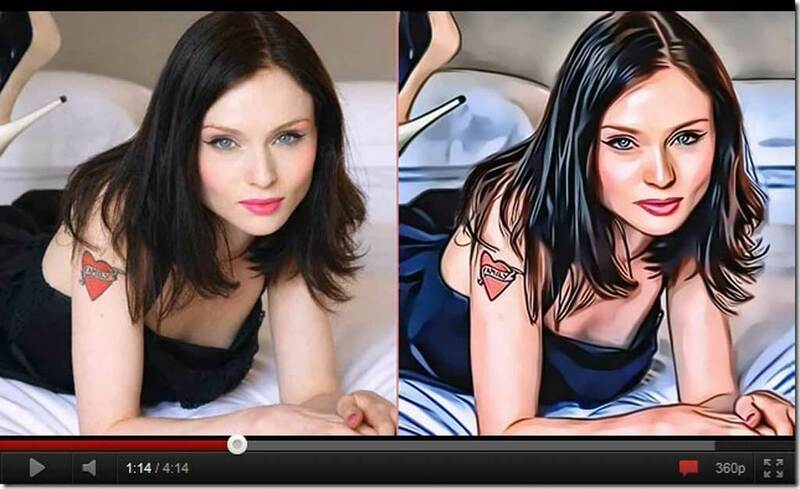 The advantage of rotoscope is that you can combine the best of live-action with the total control of the hand-drawn cel animation. 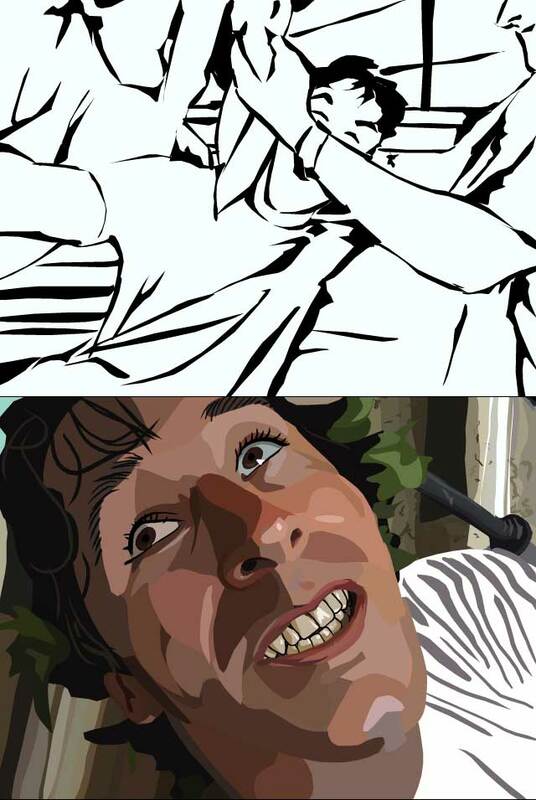 The most famous movies to benefit from automatic or semi-automated rotoscoping tools are of course Richard Linklater’s rotoscoped A Scanner Darkly (2006), and Ari Folman’s Waltz with Bashir (2008). You need to look at these award winning movies.